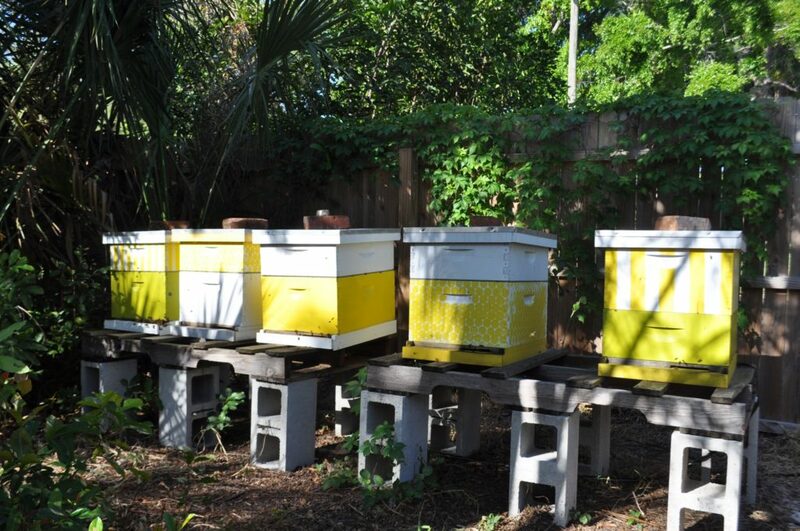 Aside from my “day-job”, I also maintain an active apiary (“bee-yard”), with several colonies of Italian honeybees. 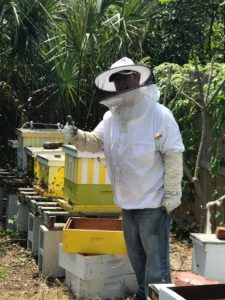 I am a state-registered and licensed beekeeper in Florida, and am currently in the “Master Beekeeper Program” through the University of Florida. Keeping bees allows me to not only study their natural behaviors (under man-made conditions), and to raise and maintain colonies, but I also help benefit the immediate environment and ecology of the immediate 3- to 5-mile circle around me. I also get to harvest honey, pollen and propolis in a gentle, responsible and sustainable manner, in keeping with best hive-management practices (putting the health and wellbeing of my colonies first!). 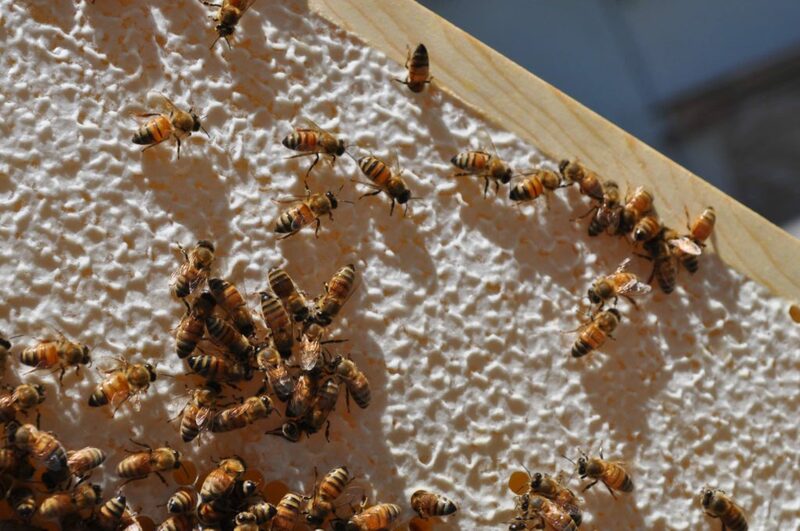 My study of honeybees is ongoing and I keep involved with other local beekeepers and am currently getting involved with raising my own local queens to help maintain friendly genetics, and help breed disease-resistant, non-“Africanized” bee colonies. Raw, unprocessed, local honey* (in 1lb bottles) — best for anti-allergenic therapy! 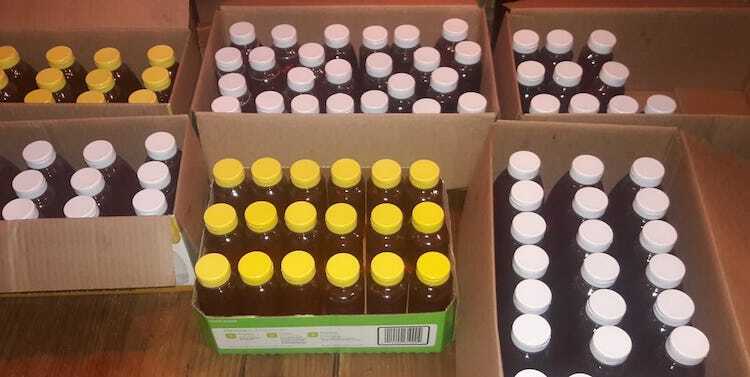 CBD-oil Infused honey is in the works…. (Current shipping restrictions prevent me from shipping honey outside the United States). If you would like to learn about becoming a beekeeper, or you have only recenly begun your own beekeeping-journey, consider my beekeeping book on Amazon, available in paperback and kindle versions. 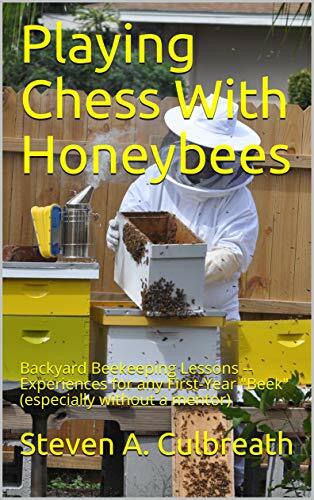 The book is geared toward new beekeepers, who either haven’t started yet but would like to, those who have been beekeeping less than a year, or those who do not have a mentor. It’s over 200 glossy pages, with over 100 color photographs, filled with real-world advice! * DISCLAIMER: Made in a Cottage Food Operation not subject to Florida’s Food and Safety Regulations. Do Not feed raw honey to infants under 12 months of age. Honey sold by weight not by volume.